Adventures of a Thrifty Mommy: The Fairies: Fairy Dancing DVD Review and Giveaway! - CLOSED! The Fairies: Fairy Dancing DVD Review and Giveaway! - CLOSED! Bella was thrilled to receive the new NCircle Entertainment DVD: The Fairies: Fairy Dancing! She has always loved to dress up in fairy wings and was thrilled to have another reason to do so! The other little daycare girls and Bella had a wonderful time dressing up as fairies and dancing to all different kinds of music on The Fairies: Fairy Dancing DVD! 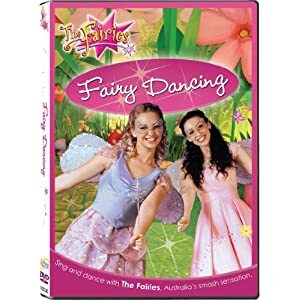 This is a great DVD for your little dancing fairy and would make a wonderful Easter basket stuffer! From jazz to tap, tango to rock 'n roll, bootskooting to ballet, the fairies discover so many different kinds of fan-fairy-tastic songs and dances. Featuring all of the Fairyland friends dancing, Fairy Dancing is full of beauty and friendship and a sprinkling of glitter and magic! It is priced at $6.99 suggested retail. 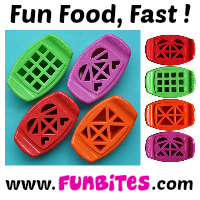 Available at a retailer near you or www.NCircleEntertainment.com. You can purchase The Fairies: Fairy Dancing on Amazon for only $6.99! Thanks to NCircle Entertainment, one lucky Adventures of a Thrifty Mommy reader will win a DVD copy of The Fairies: Fairy Dancing! Click "Read more" and follow the Rafflecopter directions to enter. I'd like to win for my friends daughter. I would love to win this for my dancing daughter! This would be for my friend's daughter. suebunting1977@gmail.com who I'd like to win this for is my daughter. My niece would love this and her birthday is coming up soon! I'd like it for my kids.